As the emphasis in product development continues to shift from form development to user experience (UX) and other elements of human to computer interaction, industrial designers need to adapt in order to thrive in an increasingly digital environment. 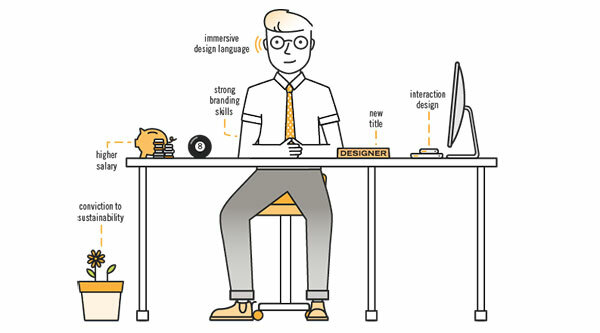 What better proof than the growing difference in hourly rates between interaction designers and industrial designers? The former are commanding nice premiums over their counterparts, and large design consultancies are reorganizing, their focus shifting from industrial design to user interface and user experience design. My advice to the industrial designers I work with at Bresslergroup: Don’t despair. Adapt! 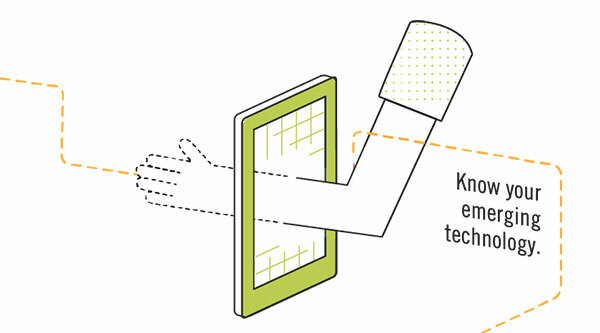 A future in which industrial design reports to user experience and interaction designers is not far off. Some forward-thinking, tech-driven companies have already adopted this structure. 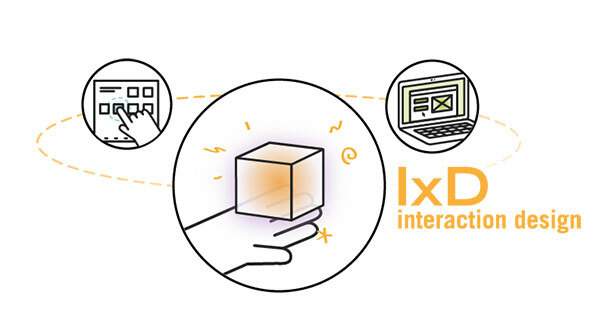 At Bresslergroup, we’re growing our interaction design team, but at the same time we want to bolster our industrial designers’ understanding of interaction design. We believe our industrial designers will be better off once they hybridize — that is, combine their industrial design expertise with central tenets of user experience and interaction design. Interaction design is multifaceted, allowing industrial designers to focus on existing strengths. 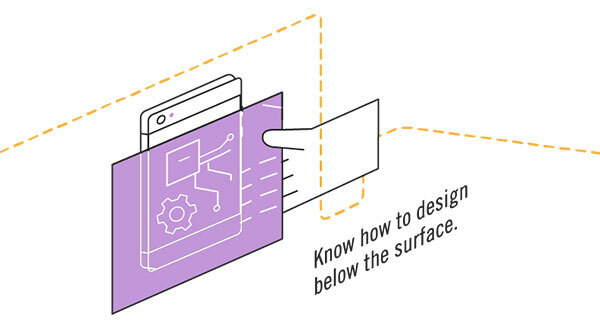 Those who are stronger at product usability, architecture, and ergonomics may find themselves better suited to the usability and information architecture aspects of interaction design. Industrial designers who find themselves drawn to visual brand language and form development may find a more natural fit in the visual design aspects of interaction design. 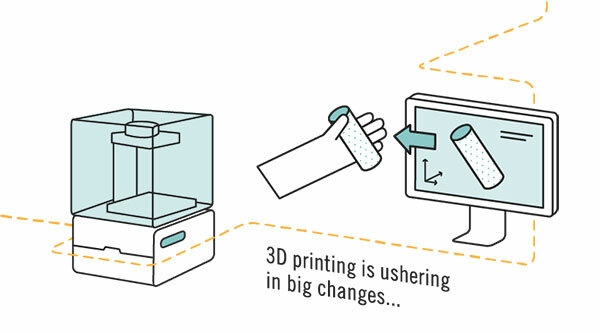 While you no longer need an industrial design degree to design and manufacture a product — thanks in part to 3D printing — there’s still a need for well-trained designers who can develop strategy to inform product experiences. As design and manufacturing become more commoditized, innovation strategy expertise will be more valued than implementation. When anyone and everyone can manufacture a product, the need to communicate something specific and profound will become more important than ever. Designers who can develop strong brand identities and product experiences will stand out amongst the crowd and help products cut through the noise. 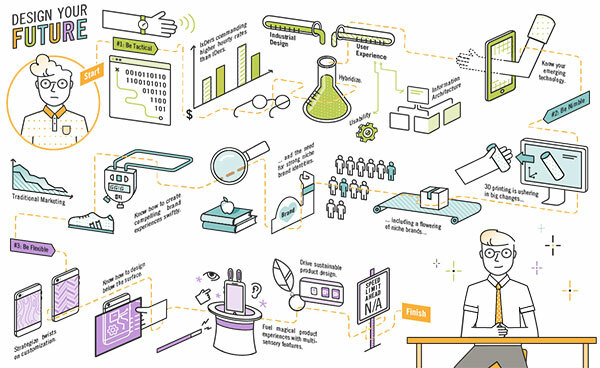 This opens up an opportunity for industrial designers to thrive by honing their front-end research and brand strategy capabilities, skills long associated with our discipline. As the general public develops an immunity to traditional forms of advertising and marketing, these skills will help industrial designers contribute to products that don’t simply function but have emotional appeal and provide a holistic product experience. Brand-focused strategic designers who use form and aesthetics to create something unique will rise to the top. As products become more digital, the demand for subtle, multisensory, and immersive features will become even more important. Tech-enabled products, such as smartphones, are less expressive stylistically — much of their design lies beneath the surface. But their geometric forms combined with users’ expectations that objects be “smart” are setting the stage for multi-sensory features to become the primary differentiators between brands. Aspects of the product that are invisible to the eye — haptic, kinesthetic, gestural, AI — will become more critical. Color, finish, and materials will continue to make first impressions, but life-long emotional connections will result from branded multi-sensory signatures. With so much new technology readily available on the market, designers will play the increasingly important role of arbiters. Designers will need to decide which technology makes the most sense in the context of new products. Industrial designers have the expertise to know that choosing technology is a matter of enhancing brand experience — and to avoid implementing technology for technology’s sake. In a world where most devices will be smart, this differentiation will be key. At the same time, product developers and consumers alike are getting smarter about sustainability. Consumers will soon demand more meaningful sustainability achievement, and regulators may have a say as well. But only a few of the leading consulting firms have developed expertise in sustainable design. We foresee things changing in one of two ways: either designers will proactively enable sustainable product development on a cultural level, or new regulations will force change. Either way, sustainability will become a requirement for industrial designers, and we hope the majority will embrace that change. Take Away: Go With The Flow! The pace of change in all realms has accelerated, and in the next five to ten years, the speed of the traditional product development process will increase tenfold. The challenge for designers will be how to manage that hyper-drive in the midst of so much other global flux. Those who recognize opportunities and are able to adjust on the fly will stand the best chance of success. About the author: To Mathieu, design is not just about fixing complicated problems — it’s about evoking emotion. And he believes emotional appeal can be rationally and analytically designed. This is the foundation of everything he does at Bresslergroup.